Money is a strange concept. For centuries we have been happy with the idea that a piece of paper is worth exchanging for other things. We choose to write $10 onto paper and suddenly we can get bread and milk and potatoes and more. But who decided what that $10 was worth? Who chose first to trust that this particular paper was actually money and had an agreed value between two people? Of course, to begin with, the piece of paper was a certificate of the amount of gold you had stored. The value of the paper was in the commodity – it was a thing – right? So, therefore gold was desired by people and so people would happily exchange – or barter – it for goods and services. Over time the piece of paper carries this imaginary value without the connected commodity – its value is governed by a complex array of factors that boggle the mind. For instance, in the US, you are hoping your $10 still carries some weight purely because it is delivered with “the full faith and credit of the United States.” And you thought religion was powerful. A fiat currency is a currency that a government has declared legal tender. This means the currency is backed, and in many ways controlled, by a central government. This means it is centralised and decisions about dealings with this currency are held in the hands of the few – i.e. central banks and governments. The thing about fiat currency is that more can be created out of nowhere. It can literally be printed on demand. This is given the snappy title of quantitative easing but essentially means making more money but in so doing devaluing the money that already exists. The US Dollar, once printed, is distributed to twelve federal banks. Only ten of these banks are publicly held. This means a large proportion of the money in the US is held in private hands with vested interests. Technically, there is no overseer of these banks and they can do what they please with the money. The impact of this has been seen in the many financial crisis that have hit the world in recent years. Digital currency is a decentralised currency that is not run by a central bank but nor is it legal tender in any country. The value of a bitcoin is decided by the market – what people are willing to spend. This is influenced by demand and by confidence of the consumer in the currency. Of course, there is no physical piece of paper that represents this currency. For some the invisible nature of digital coins makes cryptocurrency incomprehensible. However, the computer code that act as a Bitcoin is the exchange of value. This code is as real as a $10 note is. It is essentially a contract between two people stating what they are willing to exchange for that value. The value of Bitcoin has been controlled by fixing the number of coins to be released to 21 million. After this number has been released, no more coins can go into circulation. There is a slow drip of new coins and it will take until 2140 for all the coins to be mined and available for purchase. Digital currencies cannot, therefore, be printed out of thin air. 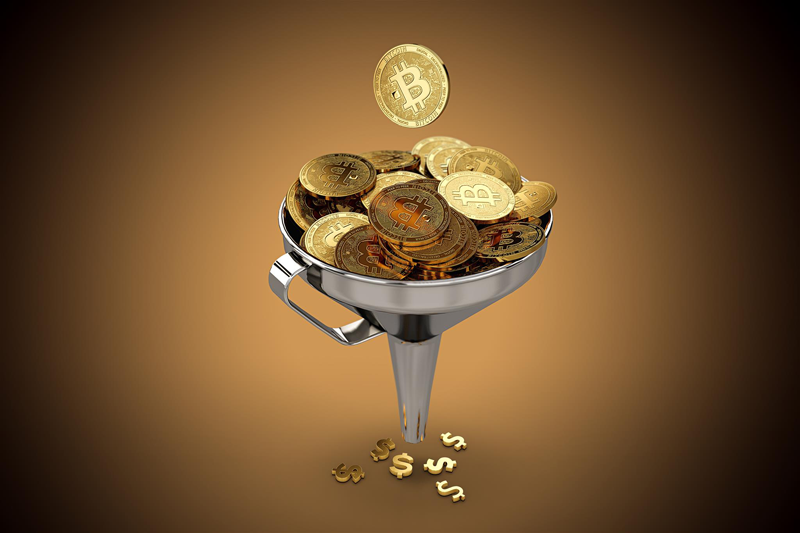 The coins come into existence through a process of mining or validation. This mining can be done by anybody, as Bitcoin is an open ecosystem that can be accessed across the globe. As there are no banks involved in the management of the currency there is therefore no single point of failure. Bitcoin is completely driven by the actions and desires of the consumer. Both fiat currency and cryptocurrency are an agreement between two people about the value of an exchange. It is a form of contract. This is where the similarities between the two ends. The main difference is that one is centralised and the other decentralised. One is held in the hands of the few rich and powerful, the other is open for trading across the globe by everyone and anyone. Decisions about digital currencies are not controlled by a handful of people, therefore is perceived to have a democratising effect on money. However, it is the global dimension to cryptocurrencies that makes digital coins particularly desirable. There are different currencies around the world being traded. To send money from one country to another is no simple matter – as there has to be a process of exchange. To exchange money there has to be agreement as to how many dollars make a pound or a Euro – or whatever currency is being dealt with. This means the value of a dollar versus a Euro can go up and down – meaning the sending of money is a lengthy transaction and can take days. In contrast, a Bitcoin is a Bitcoin wherever in the world you are – so, technically, transactions can be instantaneous. Although digital currency is subject to the volatility of prices rises and falls, almost like a commodity, fiat currencies are impacted by changes in inflation. China recently devalued its currency in order to prevent a crisis – meaning that some people were suddenly less wealthy than they were before. Bottom line – neither fiat currency or cryptocurrency has real value. The value is decided by the people choosing to exchange it. It would be easy to declare that in the future all money will be digital – but that still leaves a lot unanswered. The real question is whether a cryptocurrency can remain decentralised, and therefore not controlled by the few. People who own a lot of bitcoin are naturally wealthy and powerful and wield a lot of power. There are also moves to provide cryptocurrencies for banks – Ripple, for instance, is a mechanism for international monetary exchange for centralised organisations. Whether the power can stay out of the hands of the few is the real question for the future.